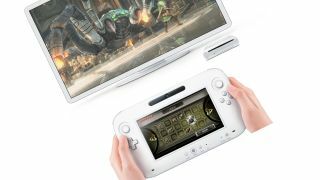 Will we get our first look at the revised Wii U hardware tonight? Nintendo will raise the curtain on the E3 gaming expo in Los Angeles on Sunday night with a new look at its forthcoming Wii U console. The Japanese giant will screen a new video on its Facebook page at 11pm BST (6pm ET), which "will be about the concept of the #WiiU console," the company tweeted. It is widely expected that the Nintendo plans to re-reveal tweaked Wii U hardware in LA following a lukewarm reception at last year's E3 conference. This video may offer the first look at the new hardware before Nintendo's main keynote on Tuesday. The Nintendo Europe Twitter account added: "We'll talk more about games for Wii U in Tuesday's #E3 presentation." E3 is likely to offer gamers and journalists their first opportunity to go hands on with the next-gen console and sample some of the games.